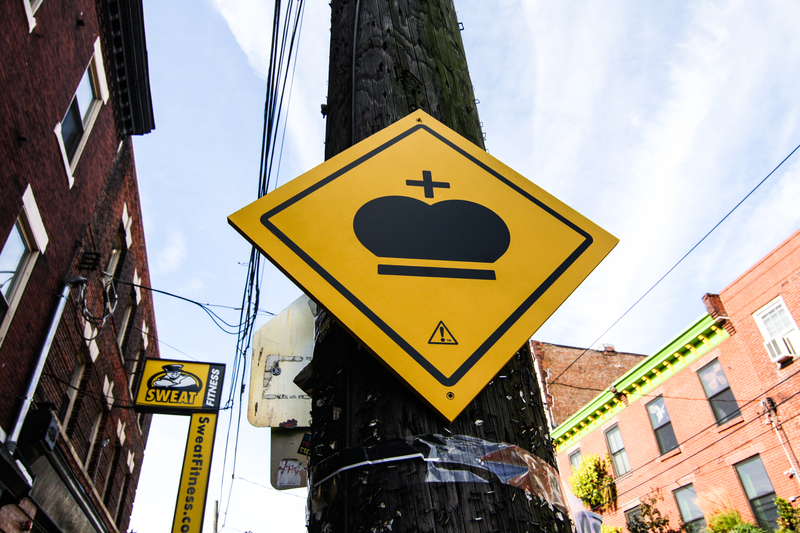 The ever-brilliant Kid Hazo, today, joined forces with fellow Philly brilliance, Mikey Ilagan and Adam J. Teterus, to form a Voltron (as Adam put it) of cleverness, installing a pair of satirical Pope signs outside The P.O.P.E. in South Philly… Where else?! 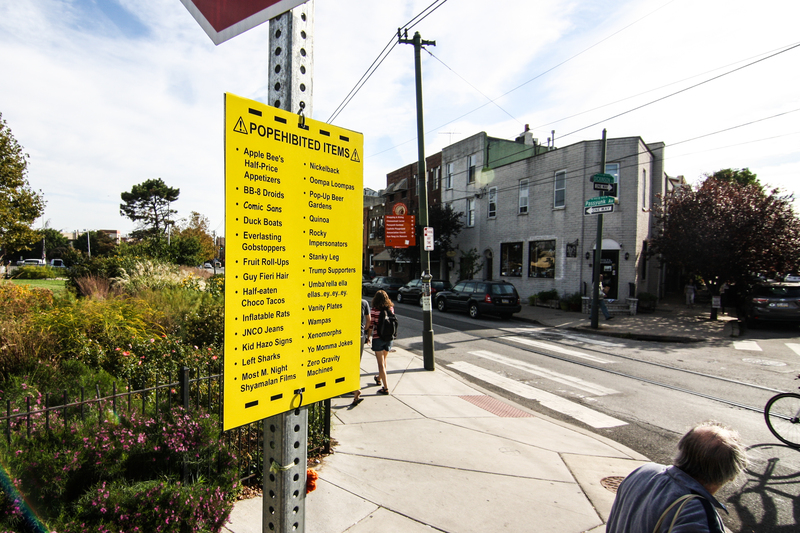 My favorite of the two features a list of ‘Prohibited Items’ (below), which literally had me laughing out loud on Passyunk avenue… GREAT job, guys!